Microsoft Teams celebrates its second birthday. 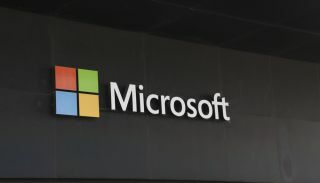 Microsoft Teams, the company's answer to cloud-based productivity suites, is celebrating its second birthday this week, and in honour of that celebration, the Redmond giant has decided to share a few insights on how the suite is progressing. So now we know that some 500,000 organisations are using teams, including almost all of the Fortune 100 (91, to be exact). That's up from some 330,000 it had in September last year, and up from 200,000 this time last year. It didn't say how many individuals are using Teams, and the media are speculating that's because it (still) hasn't surpassed Slack. Numbers aside, Microsoft has also announced a bunch of new features for the communications tool. Some are available right now, and some will go live in the near future. We don’t know exact dates, but we know the tools. The company announced Whiteboard, Data Loss Prevention (DLP) in chats, live events and live captions are available now. Whiteboard is something of an infinite canvas, DLP allows users to automatically protect and screen sensitive information, preventing accidental leaks, while live events allows users to create on-demand events for pretty much anyone. Information barriers, custom backgrounds, intelligent capture and secure private channels will be coming later this year. The full blog post, which discusses much more, can be found on this link.